From the fall foliage in VT, to the Rocky Mountains of Colorado in the month of October! I sure hit the jackpot in my schedule this month. This past weekend, I flew out to Greeley Colorado to teach Myokin to a group of relatively new PRI students. 30 out of 42 students were taking their first course and I do believe we #crushedit on day one and #slayed day two. Not sure if I crushed them or the material! The course evaluations were great and they all left the class excited to go back to their clinics/training rooms/gyms to start appreciating the asymmetries in their current patients/athletes movement patterns. One of my favorite questions I get from a PRI newbie is “What is the next course I should take?” A huge shout out to Scott Kosola and Jeremy Wehking for being my right and left hand guys in lab for the weekend. The Point Rehab and their staff did a great job hosting the class and I would look forward to teaching in Colorado again! Rain from hurricane Patricia didn’t faze Postural Respiration from having a group of 35 at Star Physical Therapy in Bee Cave Texas, just outside of Austin! Mike Cantrell mentored me into “pitching an almost complete game” or teaching most of Postural Respiration for my first time. Mike supported me and jumped in to provide a solid course to a great group of curious and engaged students. Thanks for the feedback Sean! Also a big Thank You to Jack Cooney and his wonderful staff at Accelerate Sports Performance for their hospitality, professionalism and AV help. 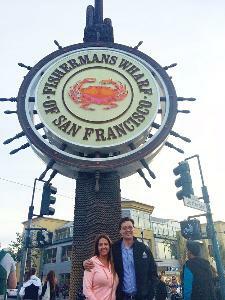 Great facility that was walking distance from Fisherman’s Wharf, so we were able to take advantage of some sightseeing and great seafood. This course had a great 2015 launch on both the East and West Coasts and its gaining popularity and relevance across the globe. We were thrilled to have Aaron from Canada and Luke from London England in attendance this past weekend. We're excited to be able to teach it next year at some major hubs to accommodate travelers, so keep an eye out on the PRI website under Affiliate Courses as 2016 dates and host sites continue to be finalized. Hope to see you at one of our Fitness and Movement courses next year! October was a great month for several reasons, but one of the highlights was the opportunity to speak at the 2015 PTWA Annual Conference held in Bellevue Washington. This well-orchestrated event featured 16 courses in 8 specialty areas over 3 days. It was my pleasure to be a keynote speaker presenting Postural Respiration as a pre-conference one day mini course to all attendees. We spent a lot of time describing diaphragm function, airflow patterns and rib mechanics. Both breathing and movement principles were discussed in context with the left AIC/right BC pattern and manual and non-manual treatment suggestions were offered. The group was appreciative of the material and very engaging throughout the presentation. 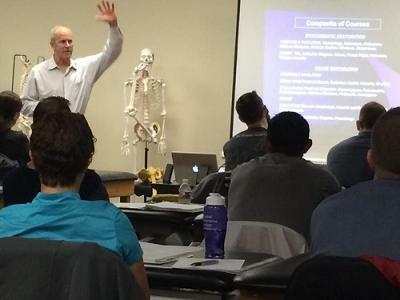 It has been exciting to see the growing interest in the science of Postural Restoration throughout the Northwest. Thank you Physical Therapy Association of Washington for the opportunity to be involved with this year's conference. It was an honor to spend time with such great people who are part of an obviously great organization. James Anderson and I had an exciting weekend introducing our new course PRI Integration for Fitness and Movement. 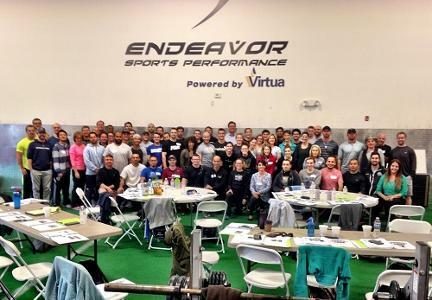 Endeavor Sports Performance was filled with dedicated and eager minds appreciating the power of a mobile, unlocked, and well ventilated thorax. We learned how to identify and cue movements of a thorax during workouts– thoracic retraction, protraction, adduction, and abduction - and how thoracic-acetabular abduction gives us stability and security for grounding for single leg power and strength. We broke down movement three dimensionally and taught principles to “Build the Sequence” to be used for picking exercises strategically during workouts and organizing programs. The principles help to develop higher level three dimensions control and proximal stability for less compensatory and haphazard movement strategies. Thank you to Kevin Neeld and his staff for their hospitality and for hosting this event at his facility. Additional thanks to Matt Varca, Louise Kelley at Point Performance, Gibbie Duval at Explosive Edge for all their hard work over the past couple months and their contribution to get this course together, and also thank you to Chad Beckman for collaborating and helping to add some great material! James and I are looking forward to growing and improving this course for PRI nation! 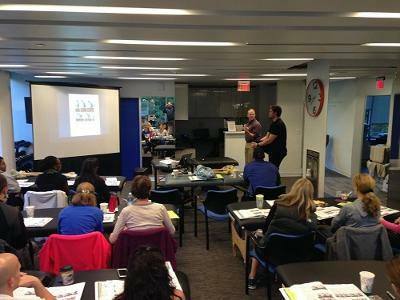 "Last weekend I got to spend some time in Bethesda, Maryland teaching IMPINGEMENT AND INSTABILITY. As I have mentioned to many attendees in the past, this class is one of my favorite to teach and Bethesda was no exception. The host site Point Performance Physical Therapy and Haim Hechtman, DPT were excellent and the group was wonderful. As I move toward teaching CERVICAL REVOLUTION this class becomes a wonderful primer and the beneficiaries are the students in the class. Thanks especially to Louise Kelly DPT, PRC who provided immeasurable help to me on a professional and personal level. She is a genius and a friend!!" What an amazing weekend in Vermont. I was thrilled to have this opportunity to return to my home state to teach PRI. The leaves were at their peak as was the interest in learning more about the respiratory mechanics of the Pelvic diaphragm as how it relates to human performance! It was so fun for me to teach my former colleagues and friends. Carolyn Weber and her co-workers at Northwestern Medical Center were excellent hosts. My friend Chad Rainey, PT PRC did a great job assisting me during lab and getting the conversations going with this group! There were so many highlights but one of my favorite parts of teaching PRI is making new friends. Here pictured below my new friends Mark and Craig. They flew from a land down under to immerse themselves in PRI for 2 weeks in the USA. PRI is taking hold of the world! #Australiajoinstheparty HERE is the link to the Australian blog post in case you missed it. A little good-hearted fun in a PRI class is always welcomed as the demonstration of how to put I in your E came to life with my PowerPoint and course participant Kathy Provencher! They will never forget why we breathe like we do in an Adductor Pull-Back! Last week an article was published on CNN Health by Dana Santas which included quotes from Ron Hruska. 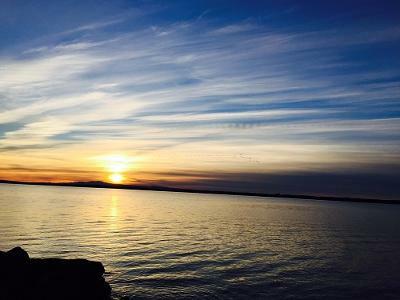 Ron was quoted in the article saying "proper diaphragmatic breathing restores everything from alternating mechanics of dynamic movement and posture, like arm swing during gait, to our ability to handle sensory input." To read the full article click HERE. This past weekend I had a Physical Therapy student in my Myokinematic Restoration course in Salem, OR. Jed was kind enough to write up his perspective on the course for this week’s course in review. 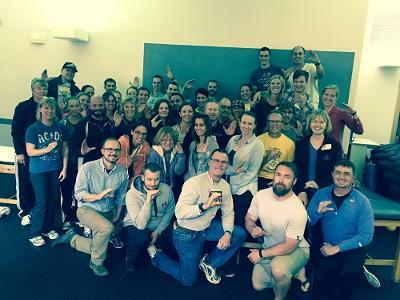 "I am a current DPT student who just finished my first PRI course, Myokinematic Restoration in Salem, Oregon. James Anderson taught an amazing class and shared a story I could relate to. He talked about how he quit therapy after graduating PT school and how the science of PRI brought him back into the clinic. I'm finishing my first clinical rotation right now and I felt the same way just last week. My CI was treating a patient and I thought to myself, do I really want to do this the rest of my life? It seems so mundane, if its short stretch it, if its weak strengthen it. There was no interest in knowing why dysfunction is happening. I was told I'd drive myself crazy trying to figure out the why. It didn't seem like real science. Is this gonna be my life, stretching this and strengthening that and never knowing why other than its short or weak. I thought about abandoning my quest to be a PT. James Anderson's presentation of Myokinematic Restoration was just what I needed. My faith in physical therapy is restored. PRI is engrossed in knowing the why. This course was one of the most interesting and educational experiences of my life and I am forever thankful I had the opportunity to attend. I can't wait to take my next course, Postural Respiration, in February. This non-traditional way of treating patients is going to set me apart from my classmates and up for success in the future."